So, Qi Bai Cao’s want to win the National Youth Competition is not only so that Ruo Bai can appear before her, but also it’s because of her promise to Ruo Bai to promote Song Bai at the National Youth Competition. Qi Bai Cao keeps thinking Ruo Bai is alive. But, judging from the words and actions of the other characters, it looks like Qi Bai Cao is the only one who believes Ruo Bai is still alive when he’s passed away. This is quite clear. So, Qi Bai Cao is working towards the hope of Ruo Bai appearing before her that seems to be very much impossible! We get the feeling she knows this fact, too. She’s just not willing to make herself say it and accept it. The reason why Fang Ting Hao doesn’t like Chang An and doesn’t want Qi Bai Cao receiving Chang An’s training is because Xing Yao died whilst doing Chang An’s training method of the spinning wheel where they’re strapped onto the apparatus and spun. When Chang An introduces his students to the spinning wheel and Fang Ting Hao sees Qi Bai Cao training on it, he has Qi Bai Cao stop training on it and reveals the dangerous nature of the training with this fact of Xing Yao having died training on it. But, from the looks of things, Chang An had tried preventing Xing Yao from continuing training under his methods when he had told Xing Yao to leave Feng Yun after seeing him too weak to withstand his training. However, Xing Yao persisted and wanted to prove to Chang An he wasn’t weak and could handle the spinning wheel. Fang Ting Hao, who was revealed to be Chang An’s former student and respected him and his training methods quite a bit, also helped Xing Yao in his want to remain in the academy and supervised him on training with the spinning wheel, but that’s where Xing Yao got into trouble and passed away. While Qi Bai Cao’s fellow members are scared off after hearing a student of Chang An’s died from the supposedly dangerous training method, Qi Bai Cao isn’t and goes on the spinning wheel. Her wish to win the National Youth Competition makes her persist. She goes to train on it herself some time later. Chang An finds her training and after asking if she was not concerned about the dangerous nature of his training method and Qi Bai Cao explains she needs to do whatever she needs to make it to the National Youth Competition, he supervises her. We feel at this point, Chang An is learning from the past; he’s realising he shouldn’t be so cold and harsh with the way he does things. It also feels like Chang An is starting to warm up to Qi Bai Cao as well. Chang An had asked Qi Bai Cao whether she wasn’t concerned about his training being dangerous. Qi Bai Cao’s response being that she would continue, he seemed pleased to hear the answer after looking rather down from Fang Ting Hao bringing up the event of Xing Yao. And after strapping Qi Bai Cao’s foot and legs tightly to the apparatus and checking they were tight (he did this at an extremely close proximity as well when he stands inside the spinning wheel directly below Qi Bai Cao. Nice insert of some closeness for the two! :oP :oP), Chang An goes and asks Qi Bai Cao to let him know immediately when she doesn’t feel good. Sweet line! It’s a step closer to us seeing Chang An show feelings for Qi Bai Cao! Yes, we expect him to develop feelings for Qi Bai Cao very soon! And we can’t wait for that. We don’t know about Qi Bai Cao, though. She’s not able to forget Ruo Bai. Time will tell and we except she will warm up to Chang An as well! :oD :oD. Qi Bai Cao successfully masters the spinning wheel. Of course! So, Fang Ting Hao was wrong about the spinning wheel being dangerous and Chang An having dangerous training methods. This training helps Qi Bai Cao manage a double triple whirlwind kick that knocks out her opponent and sees Qi Bai Cao win the next round of competition! Fang Ting Hao tries to get Qi Bai Cao to leave Chang An. 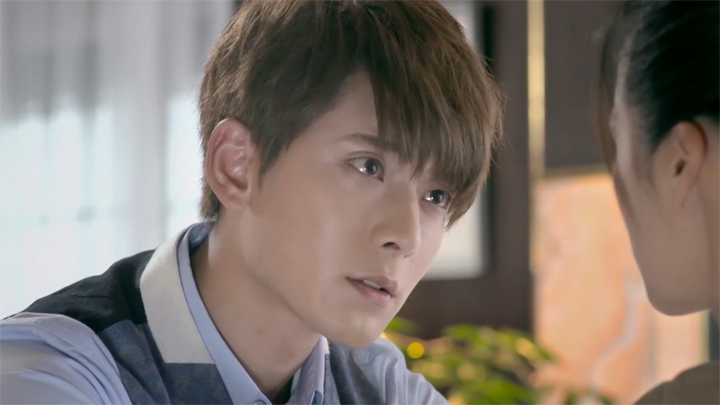 He tells her to choose either him or Chang An to be her instructor and then threaten that he won’t care about any of her affairs if she chooses Chang An. We’re not sure what was developed in the prequel, but just looking at the seven episodes so far, there is nothing at all suggesting his ultimatum would make Qi Bai Cao change what has been working for her thus far or fear Fang Ting Hao leaving her side. Qi Bai Cao didn’t end up choosing. So, at least this means she isn’t siding with any instructor. But, not choosing means she is happy with Chang An being her instructor and hence sort of suggests that Chang An is her choice. It’s clear Qi Bai Cao believes Chang An can help her with this goal of seeing Ruo Bai again. We do feel bad for Fang Ting Hao, though. He doesn’t see that Ruo Bai is who is in her heart. And if Qi Bai Cao is able to somehow move on from Ruo Bai, Chang An will most likely be the next one in line to be the person who enters her heart. Fang Ting Hao is just someone who doesn’t have a chance.